Laker fan stocking up for NBA's opening night? 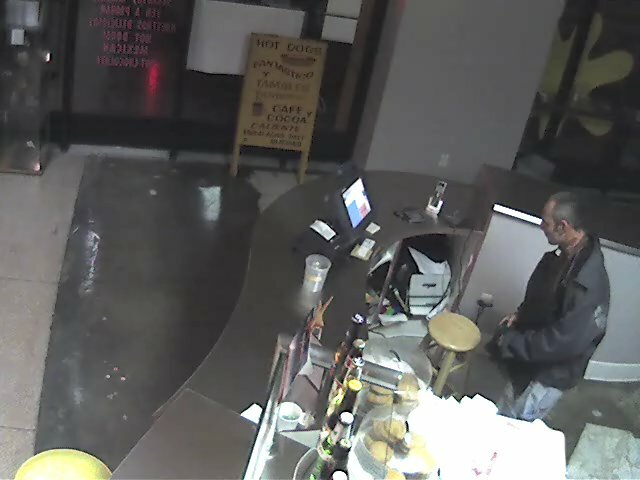 : Weeneez LLC and Red Dot Gallery owner Julie Rico reports that at 6am Tuesday morning, an unidentified white male entered through the gallery, then stole a package of polish sausages and almost-full case of beer from Weenez. The Rico robbery is now under investigation. Pictured: Large unauthorized to-go order caught on tape. I love Weenez! Julie's a great shopowner, that corner is lucky to have that place. Someone must have been really hungry.